Most of these challenges have pretty cute names. Finish all 16 in the allotted time, and win an exclusive piece of Barry’s swag, plus a free class for you and one for a friend who is new to Barry’s. The person to finish FIRST will win all their classes back. You’ll get a gift card for 16 classes. 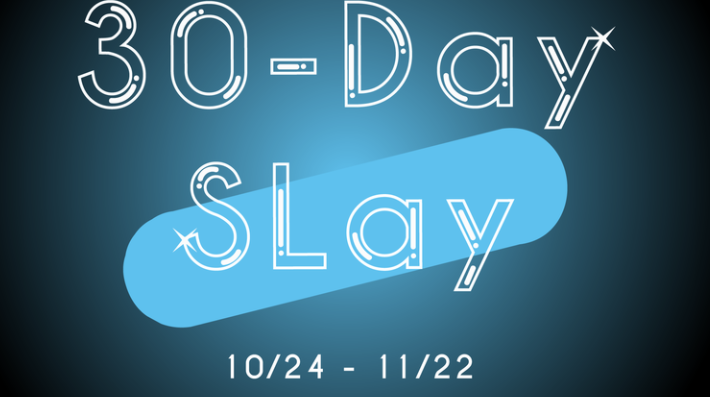 Those sign up for the challenge and complete it the 30-Day SLay will win 1 month of SLT VIP pre-booking and a limited edition SLTote bag. Sign up for the challenge and you can purchase classes for $25/class as long as you keep coming 2x week. If you don’t miss the twice a week commitment, classes you buy between now and December 18 are $25 (versus $34/class). All classes purchased at the challenge rate expire December 18. 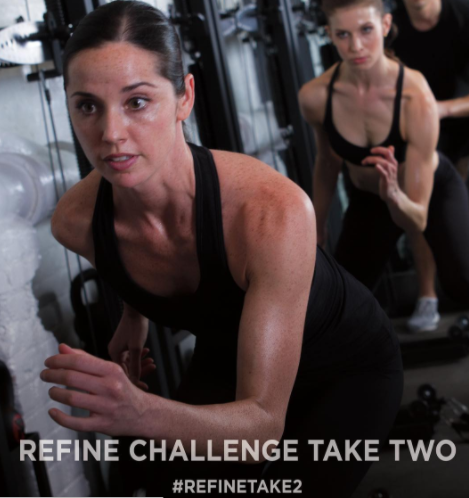 I’m trying Refine’s Take2! I’ll let you know how it goes (obviously). Anyone else taking one of these challenges? Have you in the past?